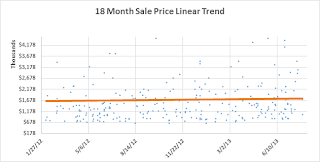 Brian Ward Appraisal Real Estate Stats and News: Del Mar, CA Median Home Price Increased 4.4% Over the Past Year. What Else Has Changed? 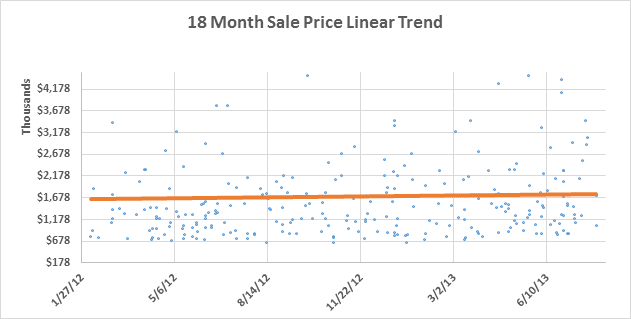 Del Mar, CA Median Home Price Increased 4.4% Over the Past Year. What Else Has Changed? 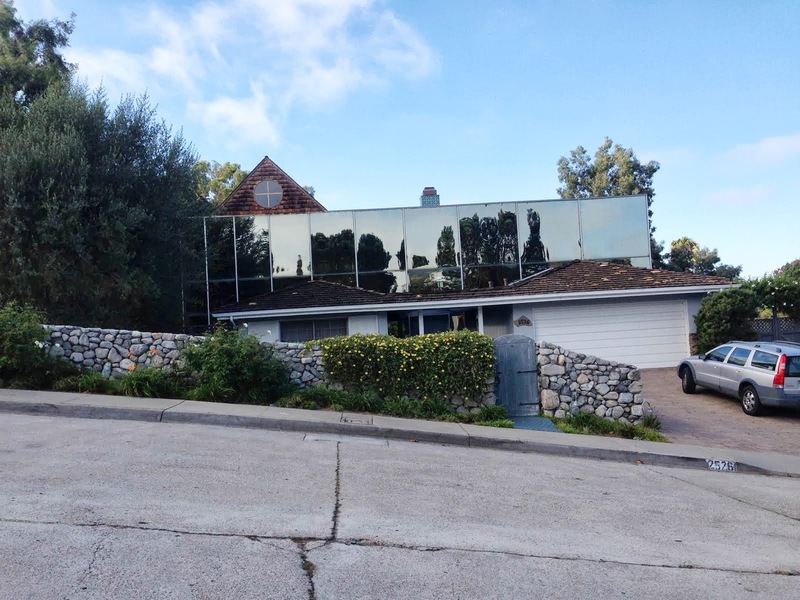 In Del Mar, CA 92014, there is a mix of property types present with most being residential, schools, parks, or commercial. While a wider range of living areas are present, most single family residences range in living area size from 1,640 Sqft to 4,027 Sqft, with the most common being approximately 2,500 Sqft. Most properties (81%) have 3 or 4 bedrooms, and most properties (44%) have 2.5 or 3 bathrooms. Most single family residences range in year built from 1962 to 1998 with the most common year built being 1980. Views are present in the neighborhood and Realtors report that 84% of all single family residences have them. The views include: bay, city, evening lights, golf course, greenbelt, lagoon/estuary, lake/river, mountain/hills, ocean, and panoramic. Public and private services, conveniences, and employment are typical of population centers throughout the county. In Del Mar, CA 92014, and as of the 12 month period ending 08/06/2013, single family residence sale prices ranged from $645,000 to $9,000,000, with a median of $1,476,000. 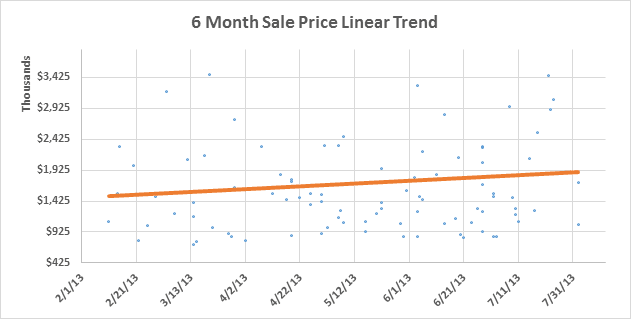 The median sale price changed 4.4% over the past year indicating an 'increasing' property values trend. The median $/Sqft changed 7.9% over the past year indicating an 'increasing' property values trend. There are currently 4.76 months of housing inventory indicating a demand/supply trend of 'in balance'. 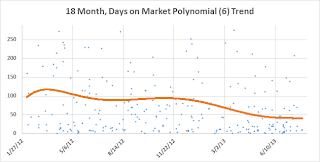 The median market exposure time over the past 30 days was 38 days. 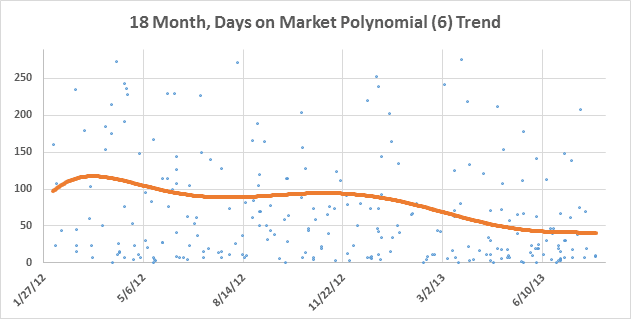 Based on recent-past market exposure times, I anticipate that the typical/median marketing time will be under 3 months over the coming 90 days. 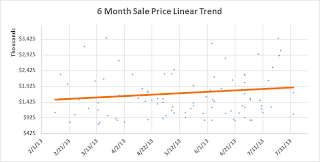 Property value trends may be misleading due to a decreasing ratio of bank sales and short sales, and an increase in the ratio of renovated properties.